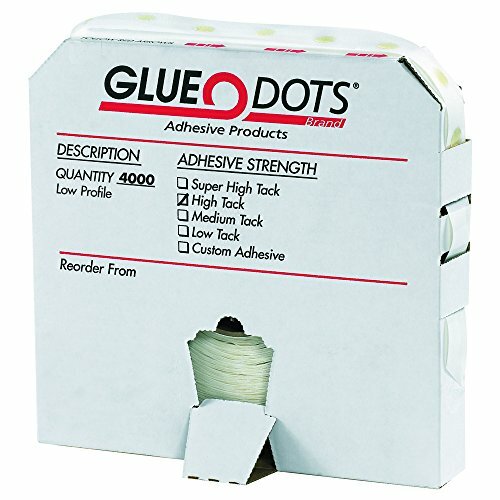 1/2" - High Tack Glue Dots - Low Profile. Low Profile Glue Dots are ideal for flat and smooth surfaces. Dots are packaged in a convenient dispenser pack. High tack strength secures items to virtually any flat surface. Dot thickness 1/64". Bonds instantly. Attach paper, coupons, business or reply cards to samples. Clear dots remove cleanly and easily. Faster and safer than hot glue guns. Non-toxic, odorless and FDA compliant.